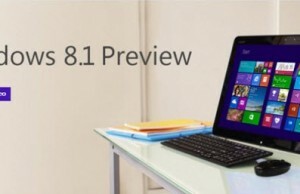 Microsoft has released the Windows 8 Consumer Preview and the ISO image is available to download. Last year, company had released Developer Preview of its upcoming Windows OS. If you were waiting to take a look at the metro style apps and tiles like desktop of Windows 8, then you can do so by downloading and installing the Consumer Preview on your Windows PC as well as on Mac (using Boot camp). Downloadable ISO image files are bulky. File size for 32-bit version is approx. 2.5 GB and for 64-bit is 3.3 GB. It is recommended to use Download Manager to download this bulky file as you may face disconnection in between. Latest browsers like Opera, Firefox are having integrated download manager. For other languages, checkout the official download page of Windows 8 CP (Consumer Preview). Product Key is same for all languages and versions. If you are running Windows 7 on your current computer, then you will not face any issue with Windows 8 Consumer Preview as well. Windows 8 CP requires the same hardware configuration as Windows 7. Here is the minimum system requirement to run this latest release. Once you download the .iso image file, you can either write that in a DVD or directly use the same for installation. If you are planning to install Windows 8 CP on a new computer (fresh installation), you need to write the ISO file in DVD and then start the installation. 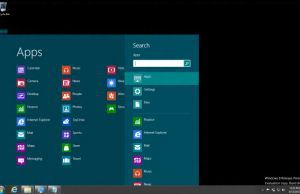 You can also install this new Windows 8 version on your existing Windows PC using VirtualBox or VMware. Apple Mac users can try installing this Windows 8 CP using Boot Camp application. More updates are coming for this latest release. Stay tuned. Update 2 – Windows 8 Consumer Preview will expire on January 16, 2013 and Windows 8 Developer Preview will expire on March 11, 2012.